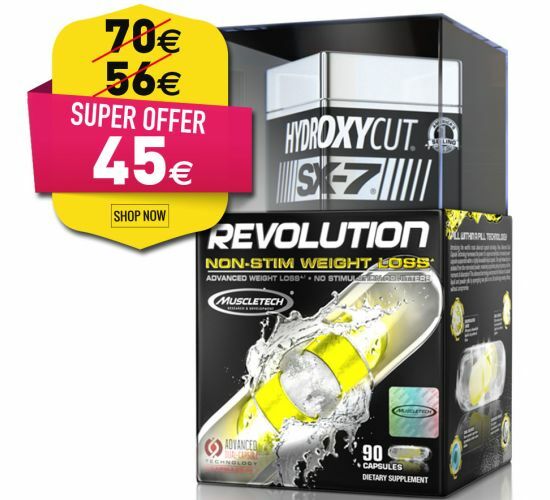 Home/NUTRITIONAL SUPPLEMENTS/BRANDS OF NUTRITIONAL SUPPLEMENTS/MUSCLETECH/MUSCLETECH SX SERIES/SX HYDROXYCUT 90caps. 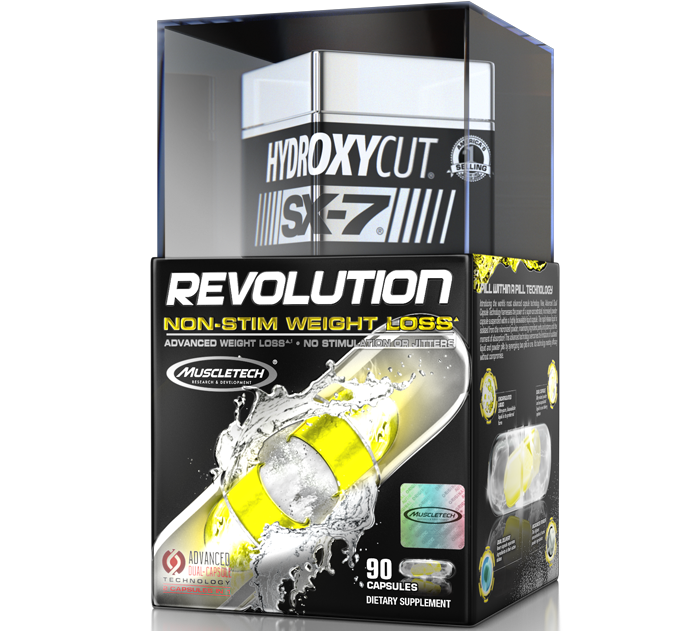 Introducing Hydroxycut® SX-7® Revolution Non-Stim, the ultimate non-stim weight loss formula delivered by the world’s most advanced capsule technology. New, advanced dual-capsule technology harnesses the power of a super-concentrated, micronized powder capsule suspended within a highly bioavailable liquid capsule. The rapid-release liquid is isolated from the micronized powder, separating the ingredients in their most stable, inherent states until rapid ingredient co-release! This advanced technology overcomes the limitations of outdated liquid and powder pills by synergizing two capsules in one. The most concentrated source of L-carnitine, a compound that is rapidly absorbed and involved in many different processes in the body, including energy metabolism. Breakthrough dual-capsule technology combines and delivers ingredients in their active states in one high-potency dose, for a truly advanced non-stimulant formula! Take 3 capsules 30 to 60 minutes before your 2 largest meals.